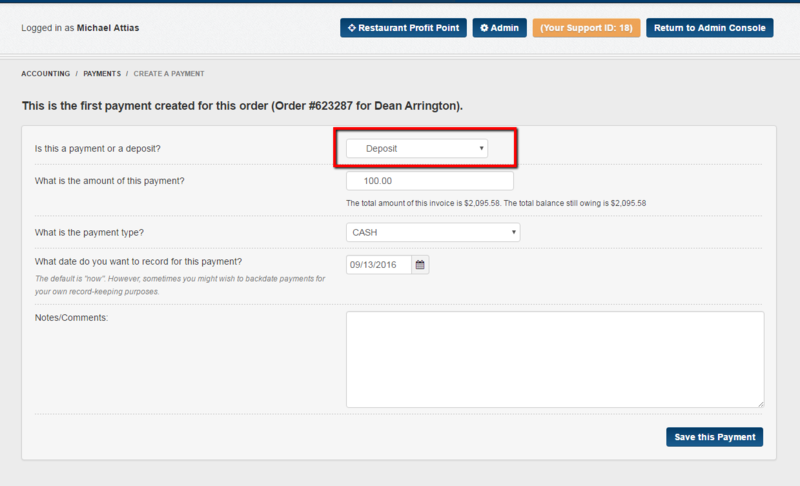 This article will go over how to create a deposit to an order through the invoices link. 2 - Next you will create the deposit by clicking on the view/edit deposits tab. 3 - Click on the create a new payment/ deposit now tab. 4 - Make sure to change the type of payment from payment to deposit. Then fill out the rest of the information and click on the save this payment tab. 5 - You have now created a deposit for this order. 6 - When you go back to the accounting tab and invoices link you will see that the deposit has been recorded. You have now created a deposit for an upcoming order. Please see articles on how to apply a deposit as a payment to an order.